Debapriya Sarkar joins the English Department and the Maritime Studies Program at Avery Point in Fall 2017. She works on early modern literature and culture, poetry and poetics, the history and philosophy of science, and environmental humanities. She is currently working on a book titled Possible Knowledge: The Literary Forms of Early Modern Science. 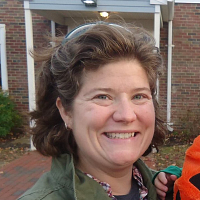 She joins UConn after having taught at Hendrix College, and after spending the 2016-2017 academic year at the Folger Shakespeare Library as a NEH/ Folger Shakespeare Library Long-Term Fellow. Although you started your education in engineering, you ended up studying early modern literature. How did that shift happen? The intellectual connections between my background in electrical engineering and my current research are only clear in retrospect. My engineering education was quite technical, practical, and instrumental. I worked on fascinating topics, but I now recognize that I was less curious about "how" things worked (the foundation of my engineering education) and more interested in the historical and conceptual issues behind these technologies: Where did scientific ideas emerge from? What are the theoretical paradigms that underlie the practical and instrumental aspects of modern engineering? What historical, social, and institutional pressures led to the emergence of modern scientific practices? Who has access to scientific and technical knowledge in a society? These were the kinds of questions that animated my intellectual interests, and these are the concerns of humanists—literary and cultural critics, historians and philosophers of science. Thus, when I had the opportunity to explore these questions in a more formal setting (as I was completing my Master’s in Electrical Engineering in UW-Madison), I embraced the opportunity and took several classes in the English department. I was fortunate to meet generous faculty in the department who not only welcomed me into their classes, but also gave me advice about what other courses to take and how to build a curriculum in English around my Master’s courses. How do you think your background has shaped your literary scholarship? My background has deeply influenced my current interests. I work on the history of scientific probability and experimental practice, and I write on ideas of possibility and uncertainty in the sixteenth and seventeenth centuries. These are clearly questions related to my engineering background. Engineers are tasked with actualizing possibilities, after all, and they often develop what we might call imperfect models, as they adapt scientific theories to workable and instrumental ends. In my current research, I consider the imaginative and creative practices that often undergird such scientific work. Thus, you could say that my current research is a response to the kinds of knowledge-making that I saw in operation, but that were never discussed, in my earlier education. In both my research and teaching, I trace the changing configurations of imaginative and natural knowledge into the modern disciplines of the humanities and the sciences. However, I also stress that literary methods not only represented or enacted scientific practices, but that the lines of influence often worked in the opposite direction: imaginative techniques also shaped modern scientific theories and methods. What appeals to you about the early modern period, and why should it be a presence in curriculum and research today? The sixteenth and seventeenth centuries were periods of tremendous religious, political, and intellectual upheavals. Whether you think about the Copernican revolution in the sixteenth century that displaced both earth and man from the center of the universe, or consider the Civil War in the seventeenth century that beheaded a king and disrupted political order, early moderns were grappling with new understandings of self, society, even cosmology. It is in this atmosphere that poets, dramatists, and writers of prose fiction—from More to Spenser, from Shakespeare to Jonson, from Milton to Cavendish—used imaginative writing to grapple with the biggest political, moral, ethical, and philosophical questions of their time. And it is in this era that philosophers from Machiavelli to Galileo, from Descartes to Bacon, from Hobbes to Pascal attempted to redefine paradigms of truth, of norms, of existence. Working with such rich archives expands and complicates our own parameters of inquiry. For instance, Francis Bacon was writing utopian fiction and natural philosophy at the same time. What I find most rewarding about writing on and teaching such materials is that their capacious cross-convergence provokes us to make connections between disparate intellectual methods, disciplines, and ideas. Ultimately, what is most exciting to me—and what I try to demonstrate to students—is that literature was a vibrant philosophical endeavor in its own right: at a moment when astronomers and natural philosophers were grappling with new accounts of the cosmos, literary writing was generating the forms of thinking that were vital to the exchange of ideas about natural and imaginary worlds. Thus, teaching and writing on early modern texts has the potential to make us rethink our own approaches as humanists: the cross-disciplinary nature of early modern thinking was made possible by stepping across the boundaries of the humanities and the sciences that we often take for granted. Recognizing the value of such interdisciplinary convergences might help us see our own institutional networks in new ways. 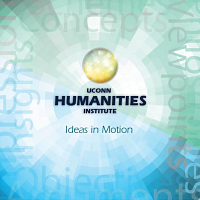 How do you envision your scholarly work and teaching on early modern studies to benefit from and contribute to UConn? I am thrilled to be joining the early modern community at UConn. I am especially excited to be in conversation with faculty and graduate students in the Early Modern Studies Working Group—the varied research interests of colleagues will no doubt expand my thinking, and the interdisciplinary nature of the group seems ideal to foster discussions that expose us to new methodologies and ideas. I would be delighted to get involved in venues such as the Humanities Institute; from participations in similar collaborative networks in the past, I have realized that such conversations are invaluable in introducing us to approaches and methods with which we are unfamiliar. At the same time, our scholarship as early modernists can also advance and diversify the research goals of such forums by allowing us to track the changing contours of knowledge across a broad historical span and theorize its future institutional and disciplinary divisions. I am eager to offer graduate courses that are conceptual and theoretical in scope—on science and philosophy, on environmental humanities, and on poetry and poetics—which will be of interest both to specialists and non-specialists, as well as classes on Renaissance women writers and on genres such as romance and epic that will be of particular interest to early modernists. At Avery Point, I am looking forward to tapping into the campus’s strong maritime tradition when I teach courses on Shakespeare—many of whose plays feature sea voyages and shipwrecks—or Early Modern Travel and Utopia: I expect a lot of our classes will ruminate on the relations between land and sea, between coast and shore, as we look out on the beautiful Long Island Sound every week.